Now through July 31, 2012, American Airlines AAdvantage members can earn 500 AAdvantage bonus miles from Avis on rentals of 2 or more consecutive days at participating airport locations in the U.S. and Canada. Use coupon # MUAA086 and provide your AAdvantage number at the time of reservation or at the rental counter to earn your AAdvantage bonus miles. These AAdvantage bonus miles are in addition to the AAdvantage base miles you earn every time you rent with Avis. Avis offers 50 base miles per day, so with this offer a 2 day rental will earn you 600 AAdvantage Miles. 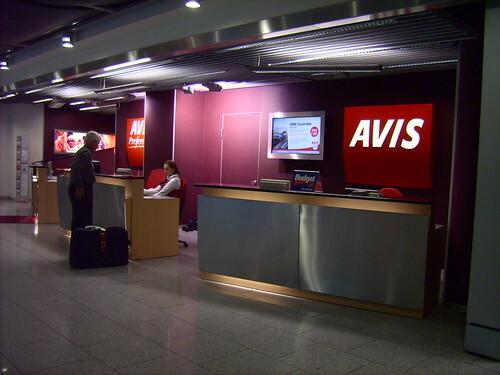 Avis has a much better offer of 1,500 bonus miles plus base miles, but it requires a minimum 3 day rental. Dollar and Thrifty both have less generous 150 miles per day promotions that require a 3 day minimum. Hertz is offering 3 AAdvantage Miles per $1 spend and only a single day minimum, but unless you spend $200 over 2 days, the Avis offer is probably your best chance to earn some extra miles with a short term rental.